Provide comfort for the family of Charlene Harrison with a meaningful gesture of sympathy. 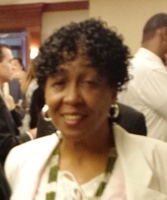 ROCHESTER - Charlene (Merriwether) Harrison, July 29,1954- Feb. 10,2019. Predeceased by her father, John Merriwether Sr., mother Arlene Merriwether, sister Anita (Nedie) Merriwether, sister Olivene Lovett, brother, Verdel (Dutch) Merriwether, brother Jerome (Roni)Merriwether, husband Robert Harrison. She leaves to mourn three sons, Freddie (JJ) Harrell, Bryan (Crystal) Harrell, Justin Harrell. Brother:John Merriwether Jr. (Renee), Sisters:Vicki (Pie) Copeland ((Ronald), Judy Browne, (Barnett), Diane (Puddy)Bridges, (Darryl), Tyree Gause, (Mike). Many grandchildren, great grandchildren , aunts, uncles, cousins, nieces, nephews and friends. To send flowers in memory of Charlene Harrison, please visit our Heartfelt Sympathies Store.